I’ve been hounding the husband for a food processor for a while now, yesterday I sent him to Briscoes for some new pans and he came home with pans AND a brand new food processor! So naturally I wanted to make something using it ASAP. I had chickpeas in the cupboard, so did some googling and altered a few recipes to suit what ingredients I did and didn’t have. 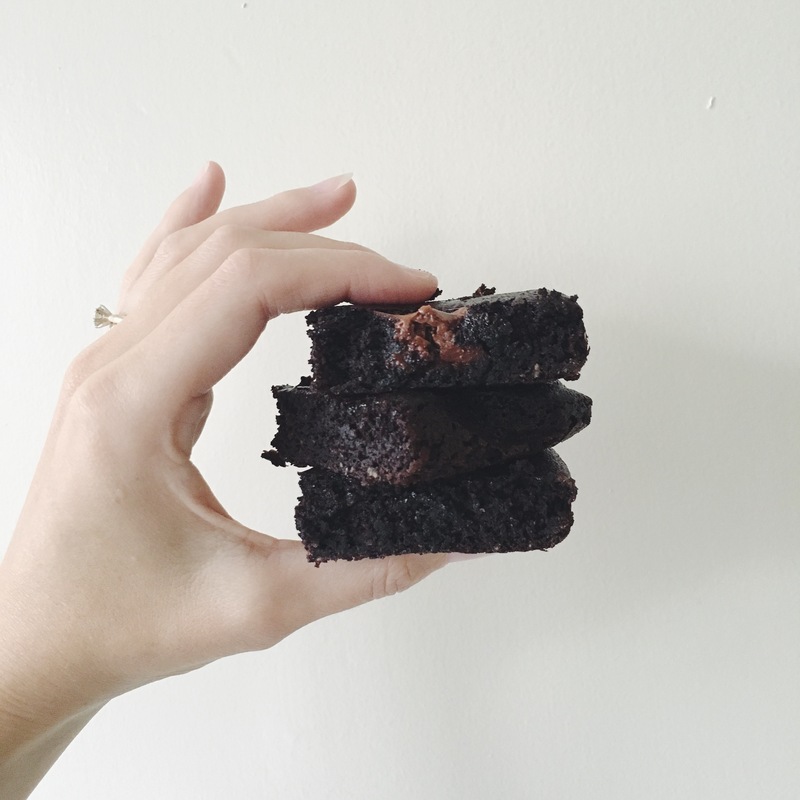 I present to you… gluten free double chocolate chickpea brownies (bit of a mouthful haha)! 1. Preheat oven to 170 degrees celsius and line a 9″ x 9″ pan with baking paper. 2. Chuck all ingredients EXCEPT the chocolate squares, into the food processor and blitz until well combined and smooth. 3. 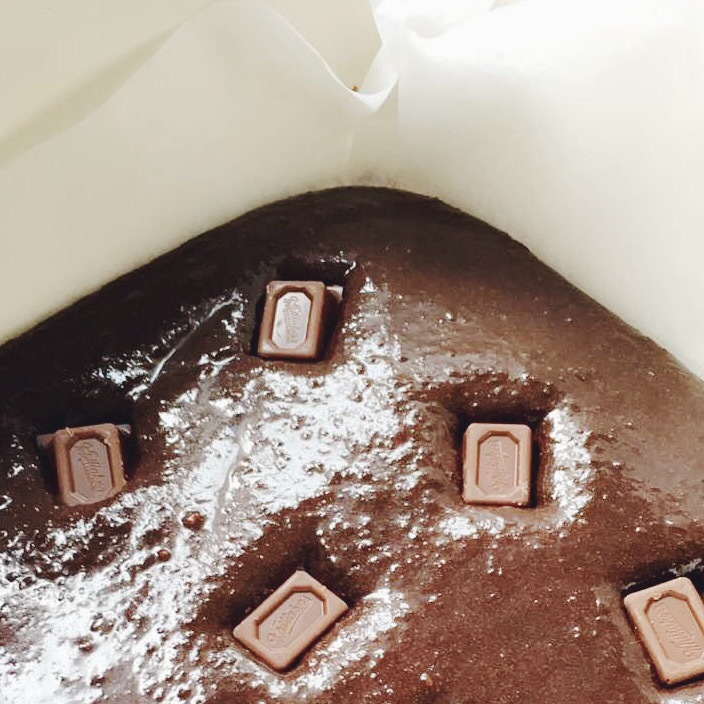 Pour the mixture into your lined baking pan and pop the chocolate squares in evenly, so that when you cut it up – each piece will have a bit of yummy gooey chocolate in it (I didn’t do this very well haha, next time!). 4. Bake for approximately 25 mins or until clean utensil when tested. 5. 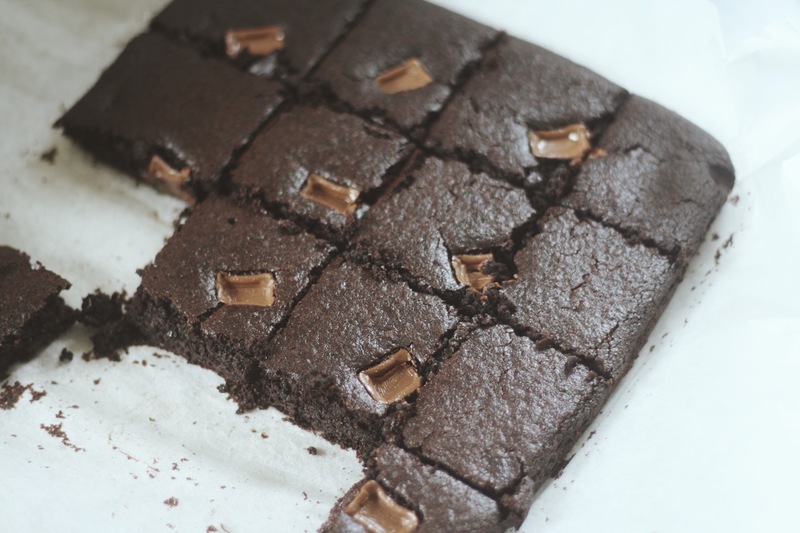 Let it cool for 20 mins, cut into 16 squares, eat. 7. Put the rest in a container before you eat it all. Enjoy! Tag me in a pic if you make it!